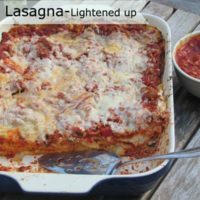 When the most recent issue of All Recipes Magazine came out I was intrigued by the World’s Best Lasagna recipe that had featured. As I am Italian my Nonna and Aunt usually made lasagna for us but it was not that often. 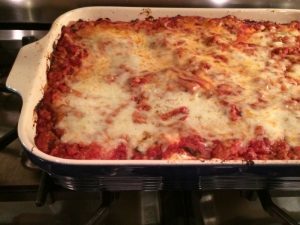 Whenever I have made Lasagna I never really used a recipe so what better time to make a huge pan of lasagna then during this crazy snow we have had. When you look at this recipe it seem daunting with all the ingredients and preparation time. 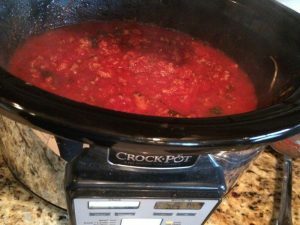 I decided not only to lighten up the recipe but also decided to make the Tomato Sauce in the crock pot in the am and then assemble the lasagna as the oven pre-heated. 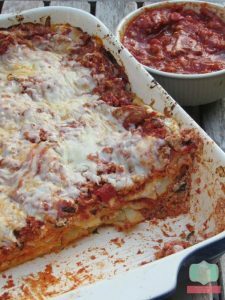 This recipe makes a lot of sauce which is great for those of you who like to add more tomato sauce to their lasagna after it is cooked. You may even be able to freeze enough to make another quick pasta dish another night. The hardest part of this best lasagna recipe is cooking the noodles. I usually make my lasagna using the no boil noodles and adding more sauce. This is really not a hard step but an additional step in my eyes. 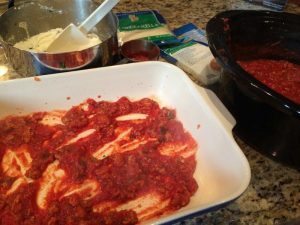 Assemble the lasagna for immediate use or you can even cover the lasagna with wax paper then tin foil for the freezer. Next time I will make 2 small lasagna dishes out of this recipe as we had a lot left over. I will freeze on tin and cook the other for dinner. I found it easiest to use an off set spatula to spread the ricotta mixture over the noodles. 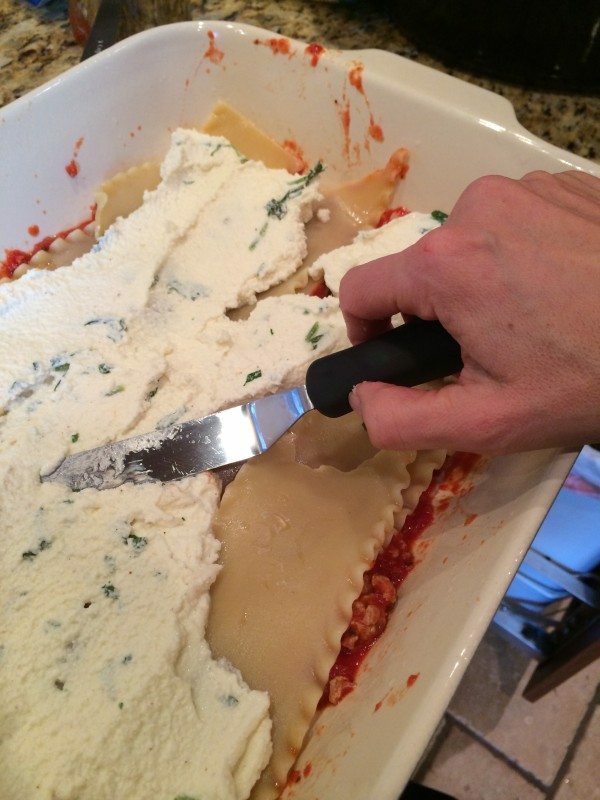 It is also important to allow your lasagna to cool for better slicing. I know you smell the deliciousness but you will have a blob of food on your hands if you don’t. 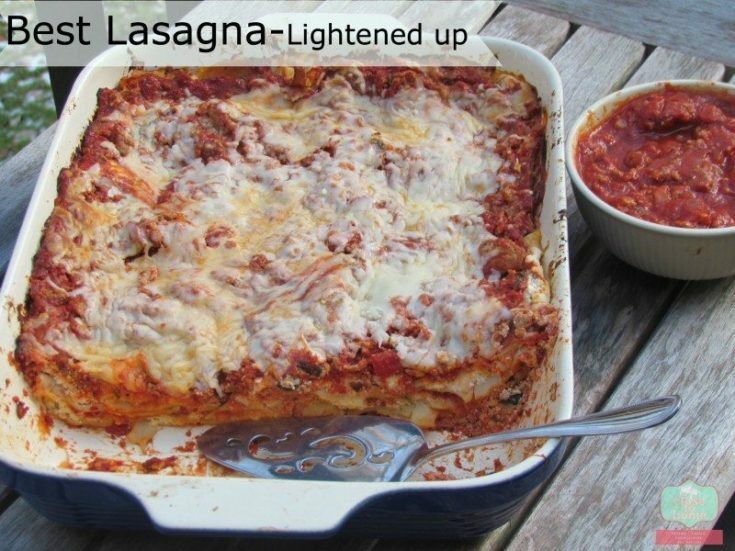 When ready to assemble lasagna, Bring a large pot of lightly salted water to a boil. Cook lasagna noodles in boiling water for 8 to 10 minutes. Drain noodles, and rinse with cold water. In a mixing bowl, combine ricotta cheese with eggs, remaining parsley, and 1/2 teaspoon salt. Bake lasagna in preheated oven for 25 minutes. Remove foil, and bake an additional 25 minutes. Cool for 15 minutes before serving. If you refrigerated this allow to get to room temperature before baking or defrost overnight. You can also freeze any leftovers for future use. I like to cut it in individual serving pieces.